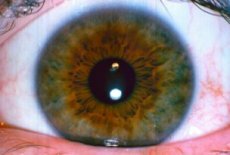 Iridology is a Science, founded by Dr. Ignatz von Peczely of Egervar near Budapest Hungary, who discovered "Nature's Record" in the eye by accident when he was only 10 years old. He published his first book on the Iris in 1866. This science was introduced in our country by Dr. Bernard Jensen who is considered to be the Father of Iridology in this Country. 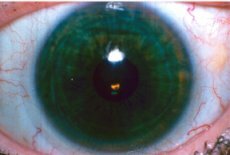 The signs and markings in the IRIS of the eye (colored portion) are like a roadmap in the body and these signs indicate which body systems and organs are most in need of nutritional support. Specific herbs will address particular organs and systems that are weak or not functioning optimally. I chart your IRIS on an eye chart so the picture is clear about where your priority weakness lies. If the priority weakness is addressed with supportive herbs many other areas of the body tend to improve as a result. 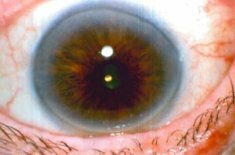 Note the concentric rings circling the pupil called "Nerve Rings". These indicate a need for Nervous System Support. Note the orange/brown coloration near the pupil. This indicates a major build up of toxins in the stomach and colon. It indicates a need for Digestive and Intestinal Support. The white outer ring is called a "Sodium/Cholesterol ring", indicating possible clogged arteries and a need for Circulatory Support.